We reported in an earlier post here that hotels in China were discriminating against Tibetans and Uigyurs. Since last March 2008 the official media’s depiction of Tibetans as terrorists has infiltrated to every level and Tibetans travelling in China still face discrimination and hostility from the public. 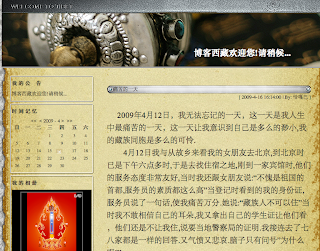 High Peaks Pure Earth brings you a personal account of an example of ethnic discrimination that took place in Beijing recently as documented by a Tibetan student blogger and posted on his blog (photo below) on April 16, 2009. April 12, 2009 is a day I’ll never be able to forget. This was one of the most painful days of my life, a day that made me realize how small and insignificant I am and how wretched my Tibetan compatriots are. On April 12, my girlfriend from my hometown came to see me and we went to Beijing. By the time we got to Beijing it was already gone six in the evening and so we went to find somewhere to stay. As soon as we got to the hotel, their service was extremely friendly and I said at the time to my girlfriend: “This is the capital city of the motherland, and so of course the levels of service are going to be high.” But as we were registering, the receptionist said something that pained me deeply. She said, “Tibetans can’t stay here.” At the time I didn’t want to believe my ears and so I picked up my student ID and showed it to them again but they still wouldn’t let me stay, saying that they needed certification from the local police. I went to seven or eight different hotels but they all gave the same answer. Angry and disappointed, the only question going round my head was “why”? On October 1, 1949, the People’s Republic of China was declared to have been established, and from then on there was an historic and qualitative change brought about in relations between China’s nationalities, and the era of ethnic oppression progressed to the era of ethnic equality. Sixty years later and Tibetans still live in the shackles of apartheid and chained by racism, every step an ordeal and misery. Sixty year later, amidst a vast ocean of material glory, Tibetans still live on an island of poverty. Sixty years later, Tibetans are withering and fading in the corners of Chinese society. i dont have words for this… i’m just sixteen and this comes as a complete shock to me. is the world out there (beijing, mainly) as much of a jungle as this????? This is how Tibetan are treated in mainland China, we Tibetan are treated 2nd class citizens by the CCP AND THE CHINESE BRAINWASHED CITIZENS. This total racial discrimination against Tibetans by the Chinese invaders. CCP and their brainwashed Chinese citizens should be kicked out of Tibet. As long as Tibet is not free, this han supremacist sentiments will always be there. 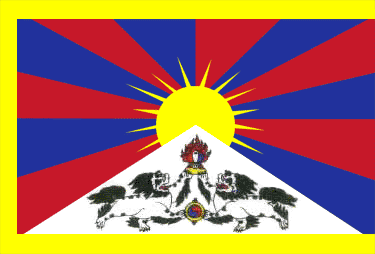 I don’t wish we Tibetans be a first class citizen in China, I truly wish we just be Tibetan in an Independent Tibet. So, what else did we expect from the oppressors? Tibet is an occupied country and as long as Tibet is part of China, this is how Tibetans will be treated, if not totally assimilated and obliterated as a race and a distinct culture. All this high talk about ethnic minority and cultural autonomy is simple unrealistic with the ground realities being pursued inside Tibet. They are in Tibet to destroy us and alienate us, not to liberate us.